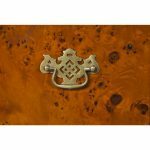 The Burled Hunt Board from Niagara Furniture. 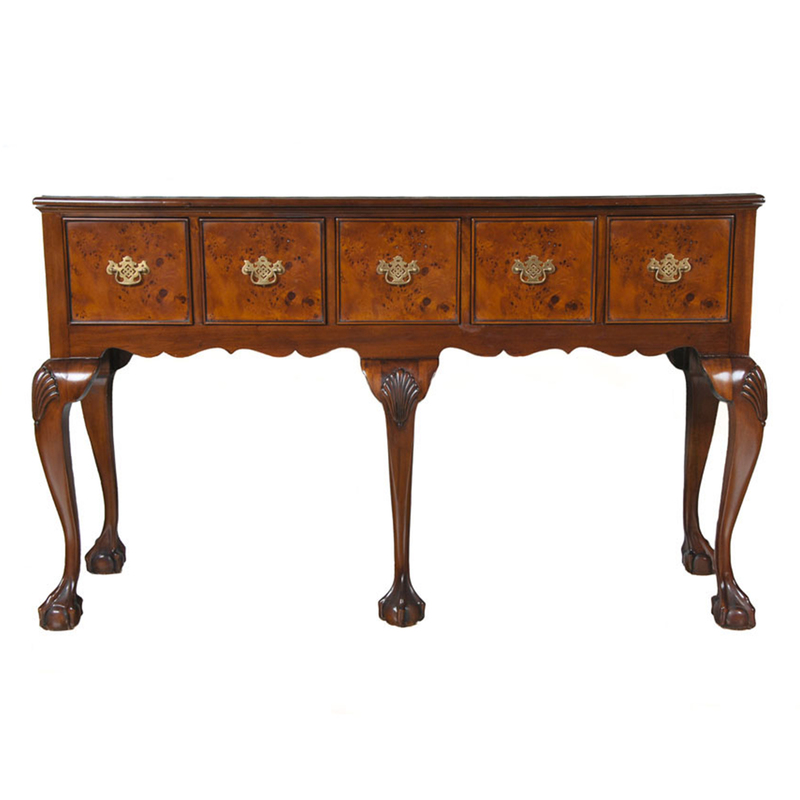 This classic style of sideboard or buffet is often also referred to as a hunt board, especially in the southern United States and England as it was narrow enough to be used in hallways. Narrow in depth the raised leg construction gives the piece a great presence in any room. 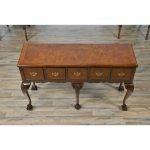 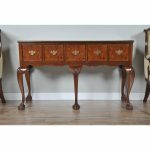 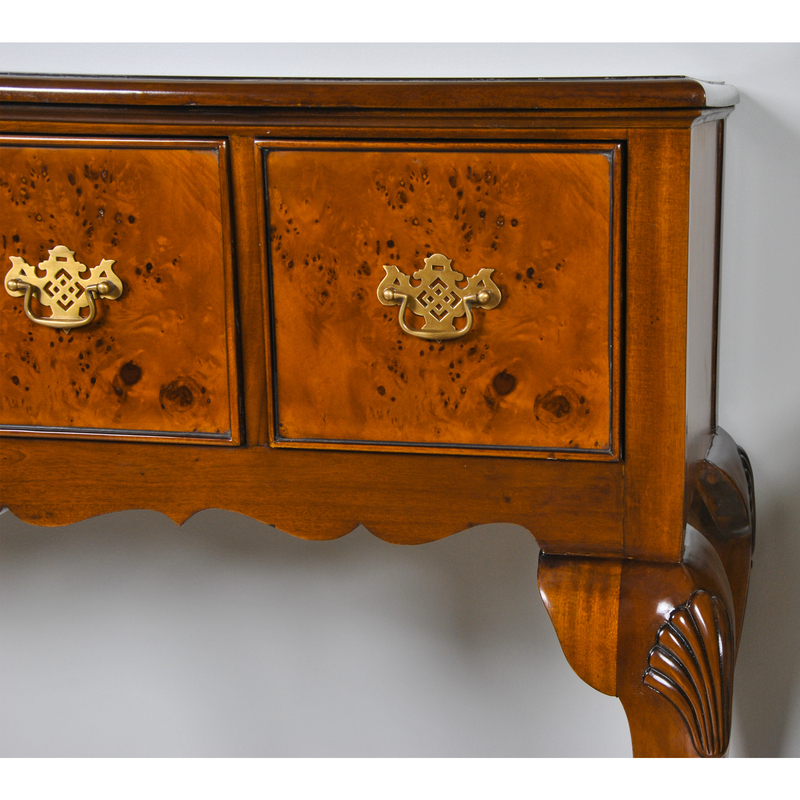 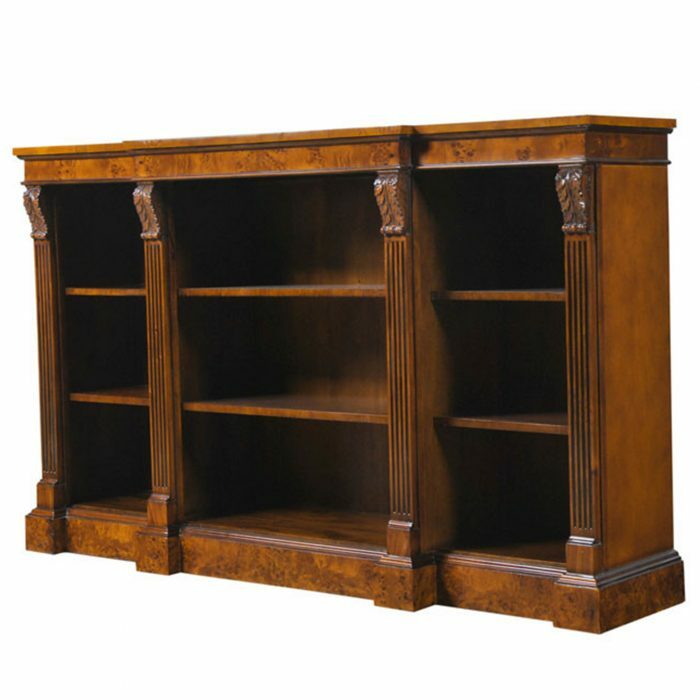 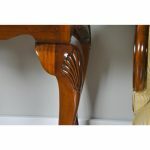 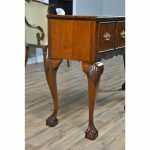 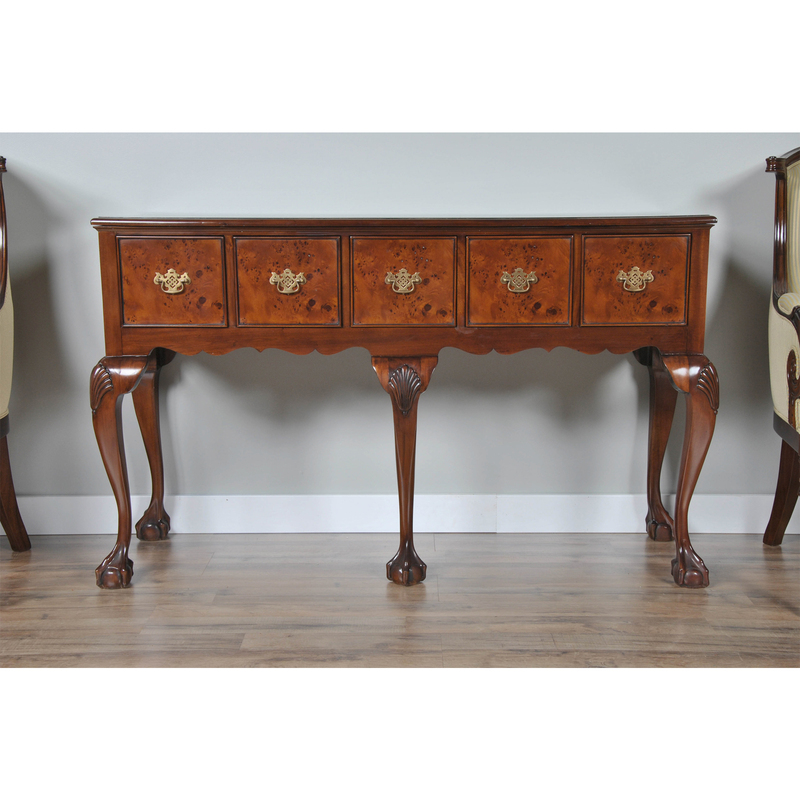 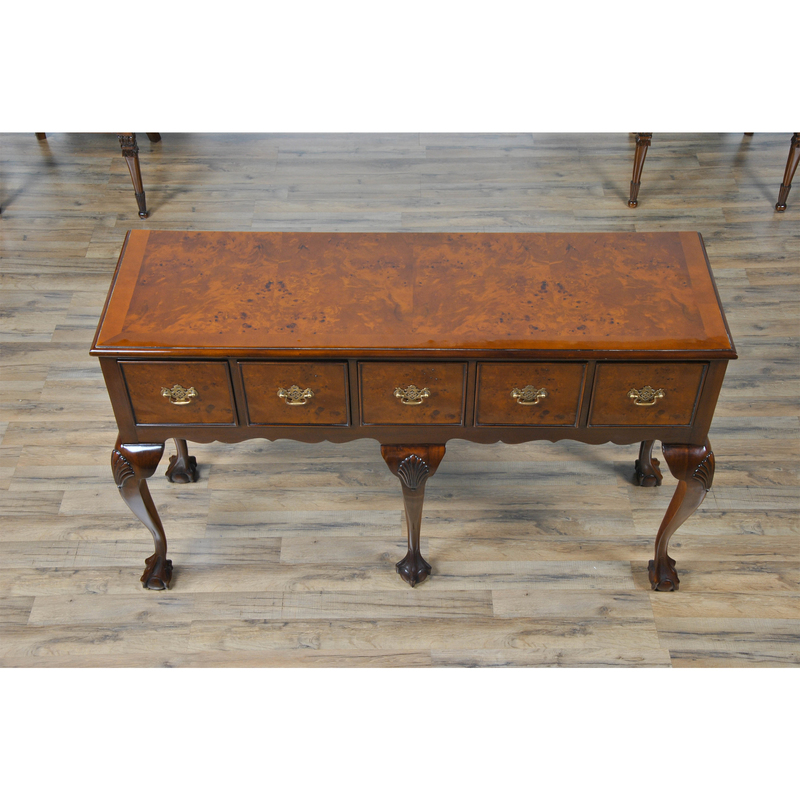 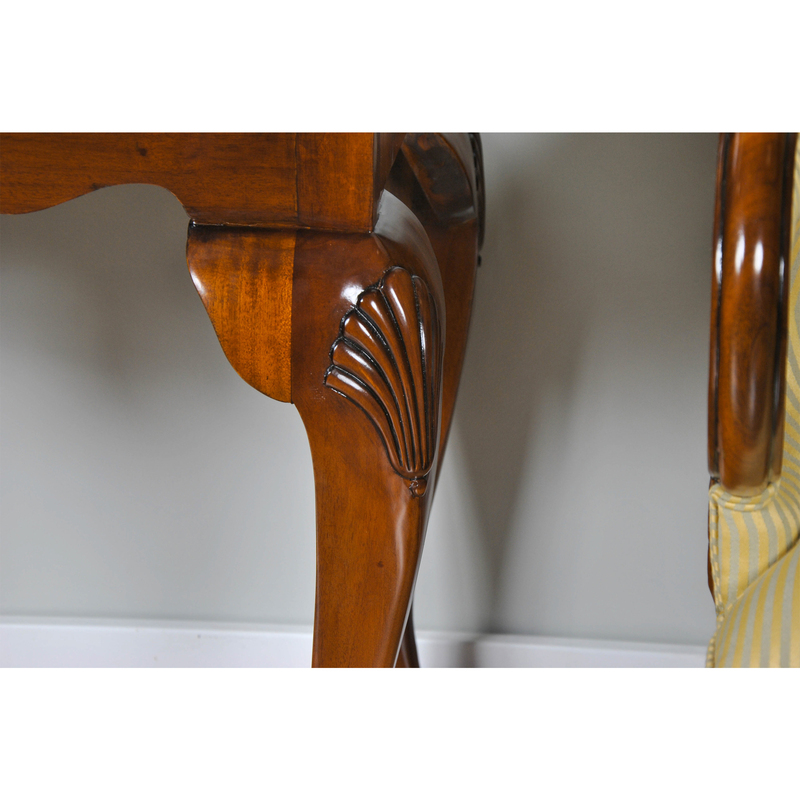 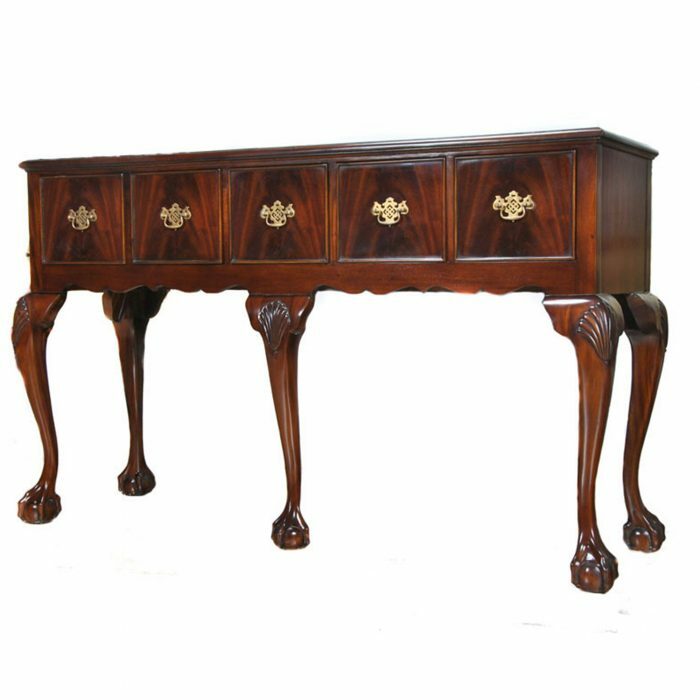 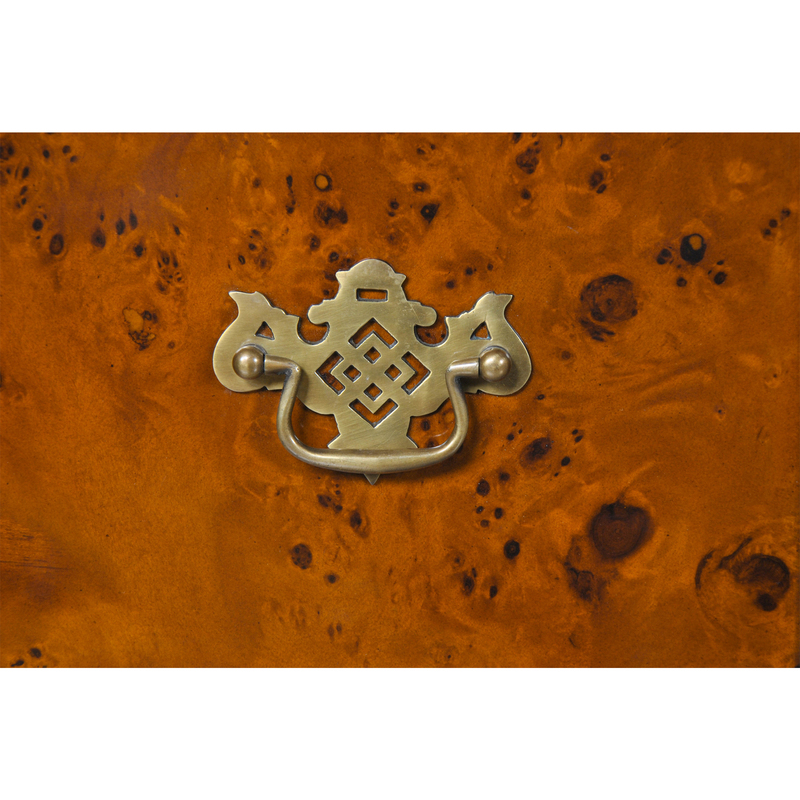 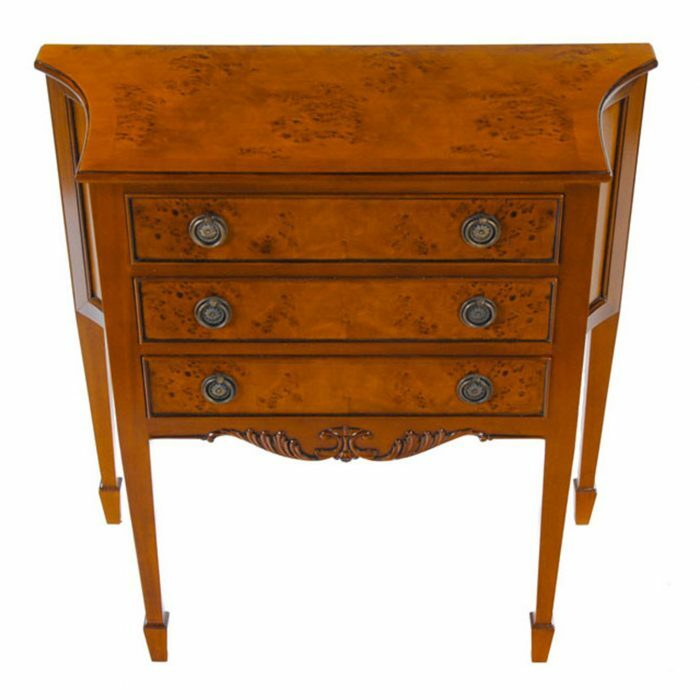 Fine quality details include shell carved knees, cabriole legs and ball and claw feet and dovetailed drawers. 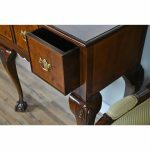 The five drawers are deep, providing practical storage space, the shaped skirt elegant and attractive. 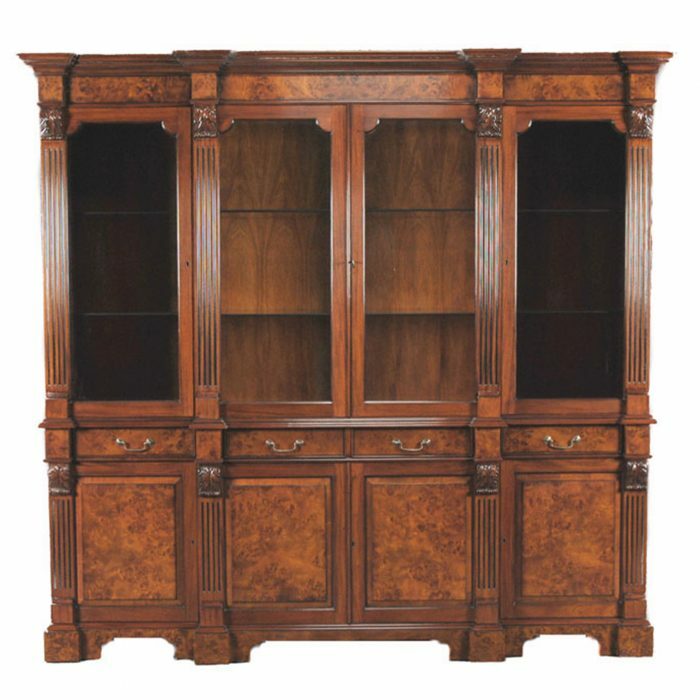 Constructed from the finest quality burled veneers and mahogany solids.